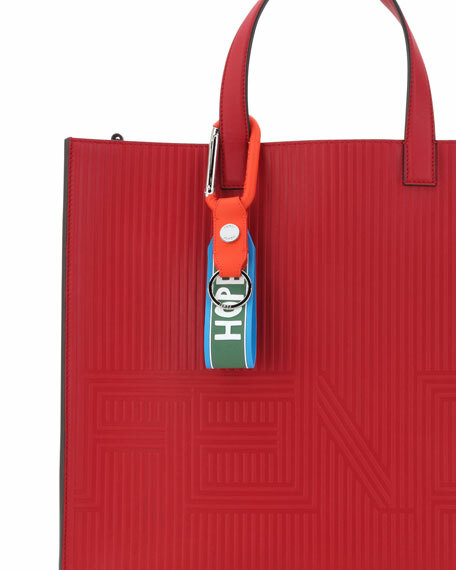 Fendi Fall 2017 key ring for bag or briefcase (sold separately). 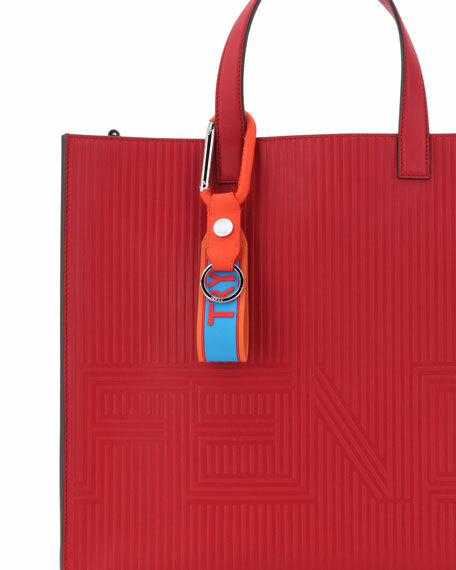 Four interchangeable rubber tags with logo and Fendi Vocabulary. 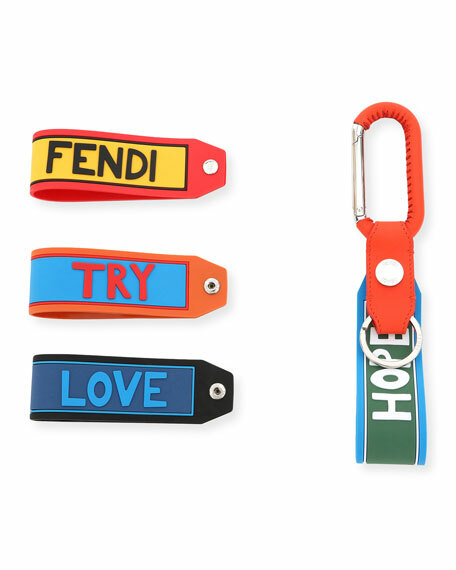 "HOPE", "LOVE", "TRY", and "THINK" straps. 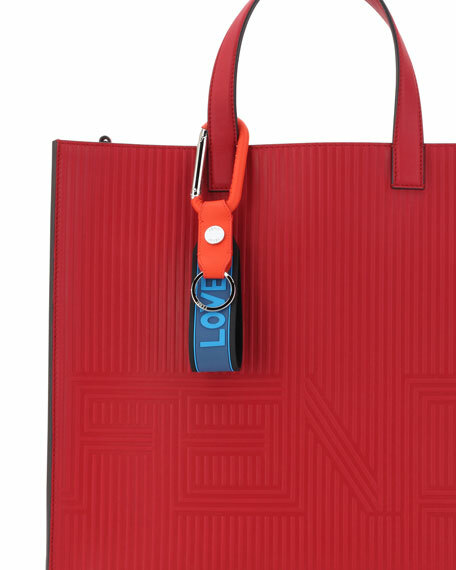 For in-store inquiries, use sku #2262722. 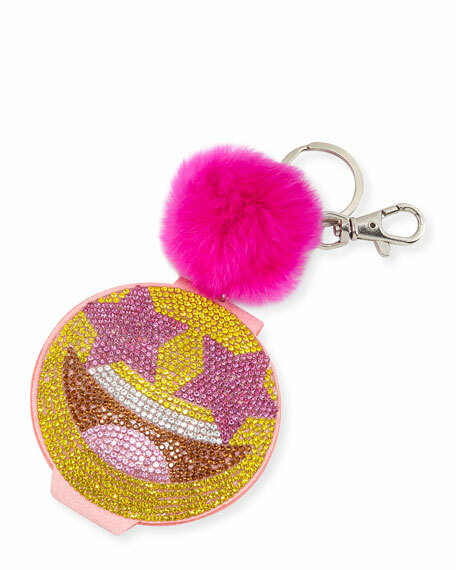 Altuzarra leather flower bag charm. Golden top clasp. Made in Italy. 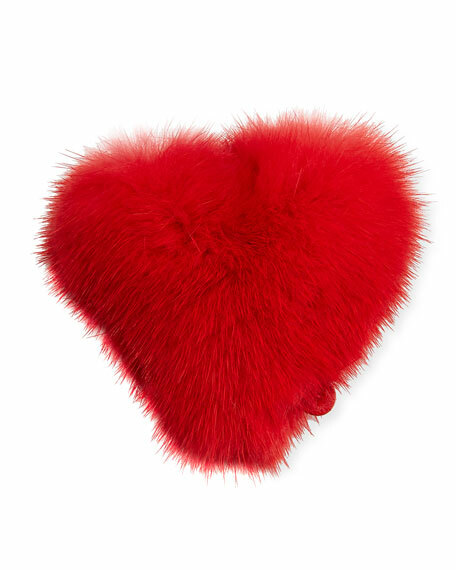 Anya Hindmarch dyed mink (Denmark) fur heart sticker. 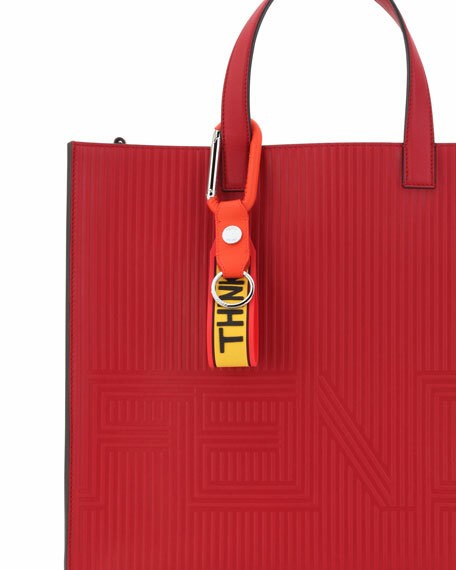 Permanent, self-adhesive pull-off back. Approx. 3"H x 3"W. Made in Italy. 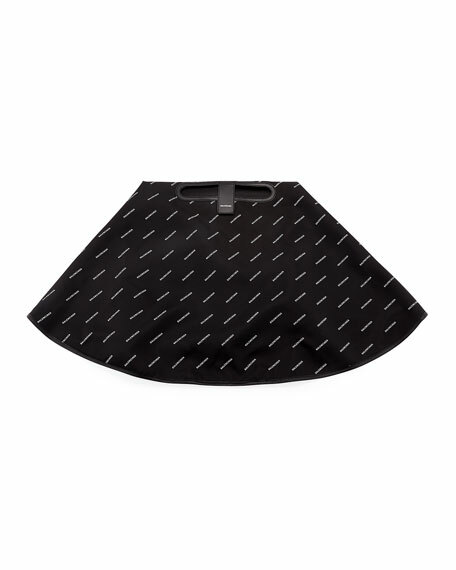 Balenciaga bag cape in allover logo print. Nylon/lambskin. Made in Italy.